In the past few days, my oven hardly stopped working – I baked, and baked, and baked. 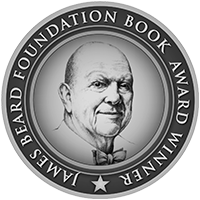 I wanted to give some recipes from my book a final test run, which meant we ended up with three cakes, a bowl of cookies, and a huge pot of soup on the table. We couldn’t cope, so a bunch of friends came over yesterday – my happy helpers when there’s more food in my kitchen than two people can possibly eat. We started with mulled wine in the late afternoon, had an extensive cake and cookie tasting session, enjoyed the soup to balance our sugar shock, and finished the night with even more mulled wine. The dishes were all received with great enthusiasm (and with different favourites, which is fantastic), and this morning I woke up without a headache. It’s a good weekend! 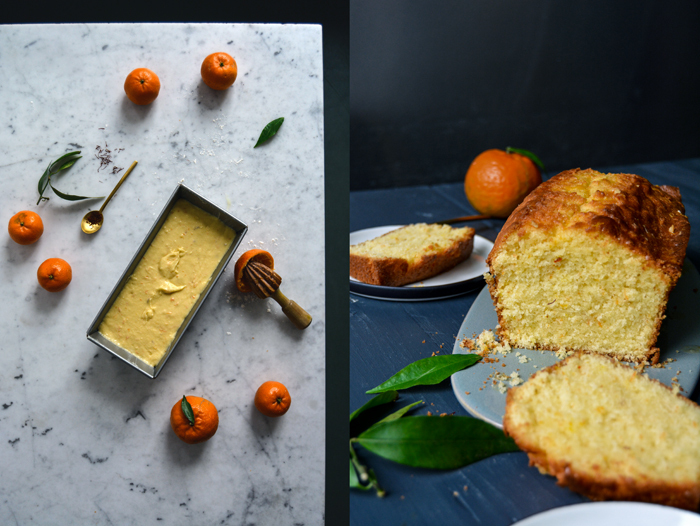 Before I jumped into my test baking, I put a new creation in my oven, a fragrant clementine and saffron loaf cake inspired by Marilena’s Milk Pan di Campobasso – a traditional cake from the Molise region, in Italy. Marilena’s cake is infused with saffron threads and Strega liqueur (an Italian saffron spirit), and covered with a crunchy hazelnut chocolate icing. It was the first time that I used this sumptuous spice for sweets and I learned that it’s absolutely delicious when used moderately. It’s been almost two years since I mixed saffron into a cake batter so I thought it’s time to take it out of the spice box again. 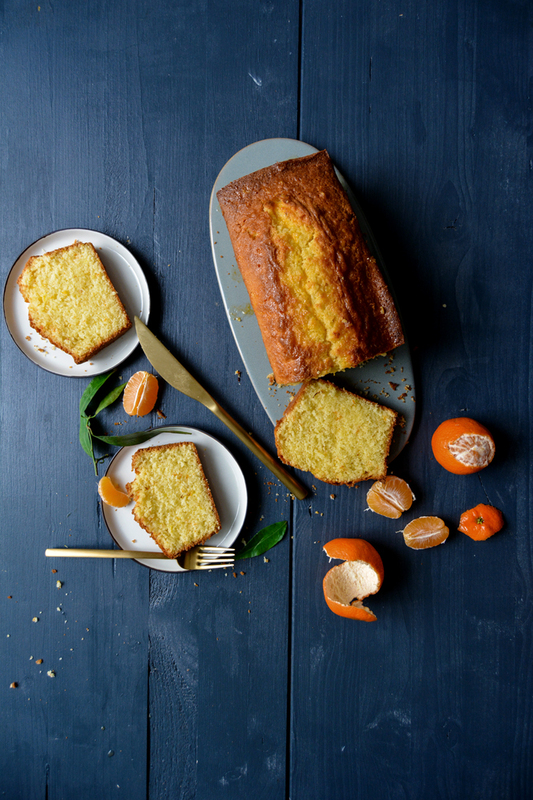 I added the sweet juices of clementines, a little zest, and some buttermilk, and turned it into a juicy teatime cake. Set the oven to 160°C / 320°F (preferably convection setting) and butter a 24 x 10 1/2-cm / 9 1/2 x 4-inch loaf pan. In a small bowl, add the buttermilk and saffron and stir to combine. Combine the flour, cornstarch, baking powder, and salt in a medium bowl. In a large bowl, beat the butter with an electric mixer until fluffy, add the sugar and continue mixing until well combined. Add the eggs, one at a time, mixing well in between. When the mixture is light and creamy mix in the zest and juice. Fold in the flour-cornstarch mixture with a wooden spoon in batches, alternating with the saffron-buttermilk (about 1/3 of each at a time). Pour the dough into the buttered pan and bake for about 52 minutes or until golden on top (slightly longer if using a conventional oven). Check with a skewer, it should come out clean. Let the cake cool in the pan for a few minutes before you transfer it to a wire rack. For the syrup, whisk the icing sugar and clementine juice until combined. Prick the warm cake. 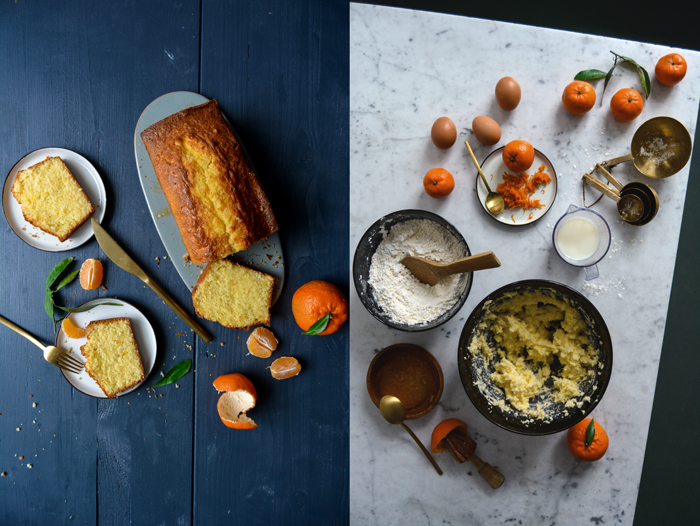 Slowly pour the clementine syrup over the cake, sprinkle with a little clementine zest, and enjoy! Oh my, this cake sounds delicious. 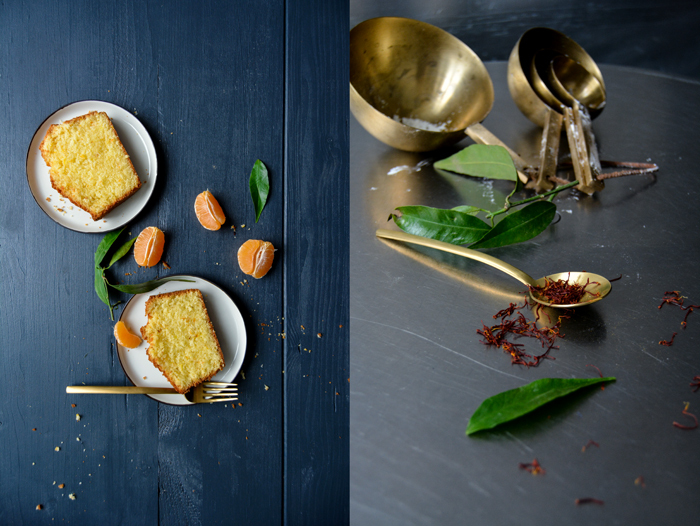 I know I have told you before, orange is my favorite dessert flavoring, but to add saffron is just icing on the cake! Thank you for sharing your recipes, Meike. 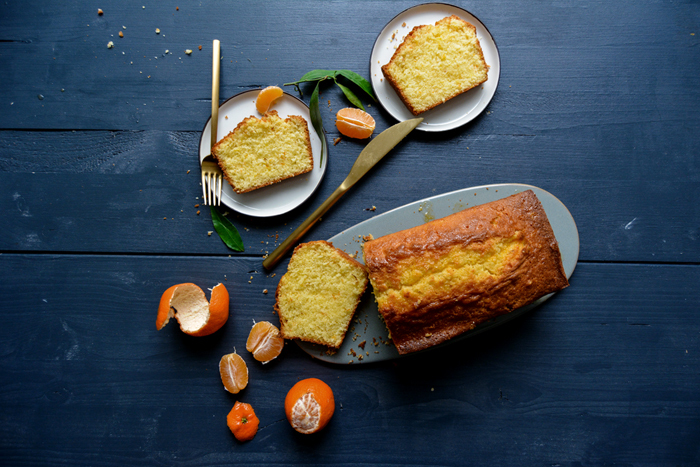 This looks wonderful – I love citrus fruits at this time of year, and I love how they make cakes like this both fresh and comforting at the same time. Thank you Amy! 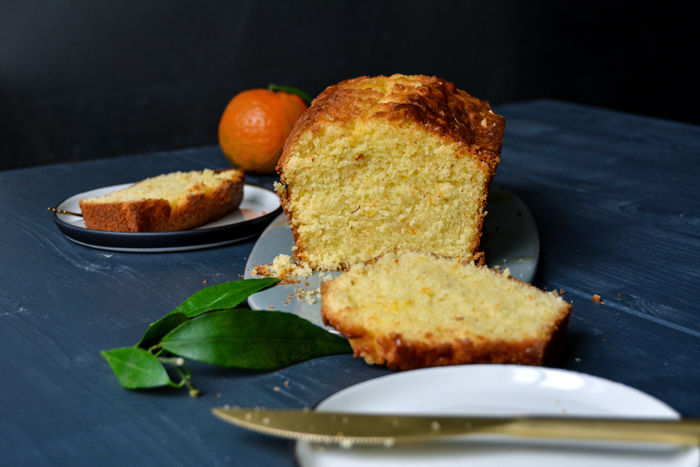 Citrus (juice and zest) is one of my favourite ingredient for baking, it makes a cake beautifully fragrant. I always have a bowl full of oranges, lemons, limes, clementines, grapefruits and kumquats (at the moment) in my kitchen, I love them. 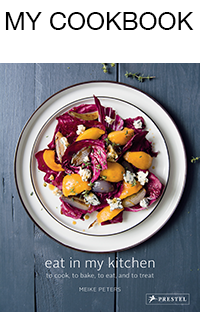 And the small clementines work really well with saffron!